The process is as exciting as the result. 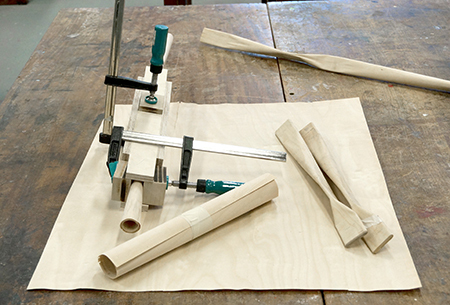 The veneer is only 0.5 mm thick and moistened on one side with glue, this is then rolled into a tight pipe and pressed. 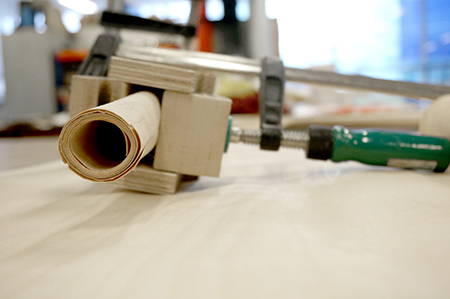 Manufacturing in this way results in a strong structure with a novel 3D form and flat sections for assembly. 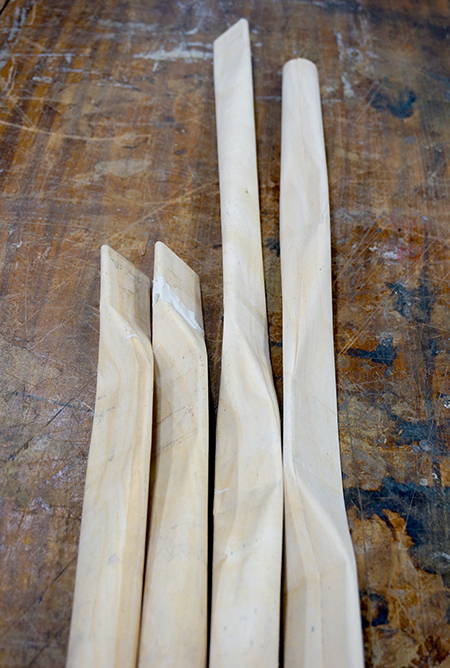 The flexible process cleverly uses different pressing angles to make shaping in any direction possible. 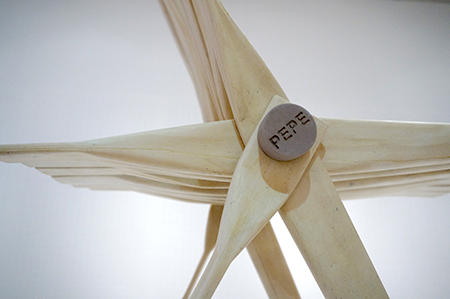 Pepe is lightweight and stable and uses a production method developed at CuldeSac Valencia during "The great tobacco project" in 2011. Old production processes, materials, factories and the people who work and create there are a real inspiration for life. In a small town near Valencia you can find one of those factories full of history and a fascinating atmosphere, with authentic people and a special patina. The great tobacco project was inspired by the unique process of hand rolled cigars that have been produced at Torres de Quart in Torrent for 100 years. 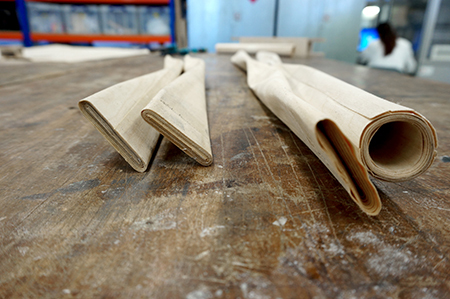 Every table leg of the great tobacco project will be produced out of a thin sheet of wood and will be hand rolled to a perfect pipe. 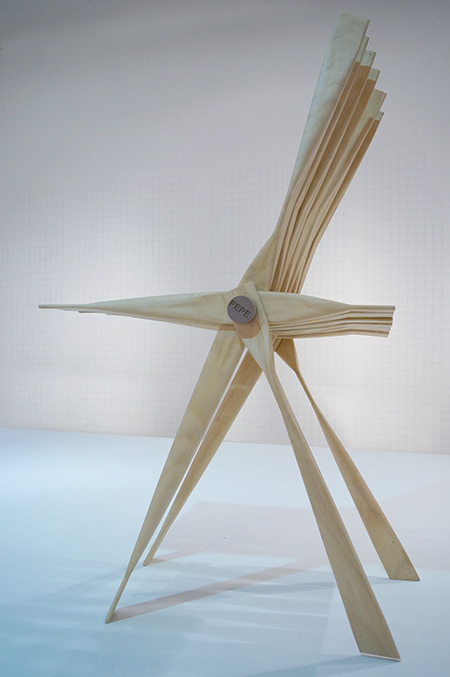 The squashed borders of the legs create the unique form and enable different structures with only one screw. 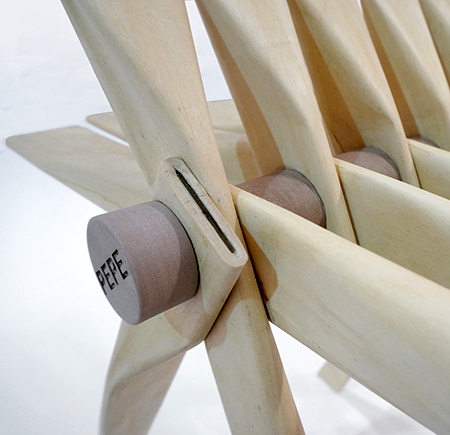 Each table leg is unique. The etiquettes are aligned to the typical cigar banderoles and give every single leg the last touch of its personality. The great cooperation between CuldeSac and Torres de Quart brought the handmade cigars back to the place of inspiration.